• Released new biometric devices, including the TA300 desktop standalone unit, the m-Kadex model, the Face ID 3 facial recognition model and the H2i voice guided terminal. 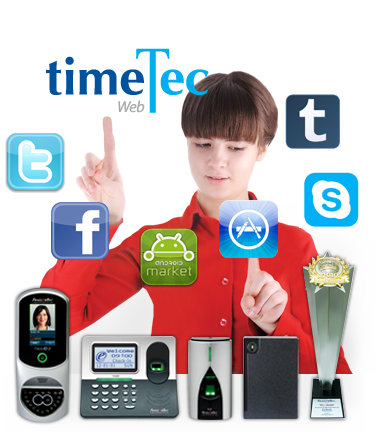 • Launched TimeTec, FingerTec’s web-based time attendance solution. TimeTec Mobile was also released for Apple and Android devices. • Gained more than 1,000 new followers through the year on all social networking websites, including Facebook, Twitter, Skype and Tumblr. • Won the BrandLaureate SMEs Chapter Awards in 2010 as selected by the BrandLaureate Awards committee for SMEs organized by the Asia Pacific Brands Foundations.